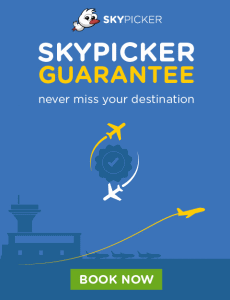 Check our onlne booking system for cheap ticvkets with Jet Airways, or go straight to their website. Please contact our office in US on 201-653-8001 and in Canada on 905-270-0538. Piece Concept : The Government of India regulations permits only one piece of cabin baggage on board. The dimensions of which should not exceed 115 linear cms and weight should not exceed 7 kgs. Passengers are permitted to carry one laptop over and above one piece of hand luggage as cabin baggage. Contours are available at all airports to check the dimensions. If it exceeds these specifications, you will be requested to check your bag into the baggage hold. Hand baggage is accepted in the cabin subject to availability of space in the Over Head Bin. Restricted stowage space is also available under the front seat. In the event of no space being available in the aircraft to stow hand baggage, it will be necessary to remove and load the same in the baggage hold as per safety regulations. Passengers are permitted to carry one piece not exceeding 7 kgs and 115 linear cms (45 inches). On our international routes, for First Class and Première, an additional non rigid framed garmet bag or a laptop is allowed. For departures out of London, only 1 piece is allowed. Unless and otherwise specified in the fare rule, the 2 piece baggage allowance will apply on all domestic India fares for travel to/from USA/Canada subject to providing proof of such travel, failing which excess baggage charges will be applicable. Excess baggage charges per kg. will be calculated at the rate of 1.5% of the Adult Economy class normal (Y2) adult fare. Jet Airways will not accept any single piece of baggage weighing more then 32 kgs. Infant with a seat can avail same free baggage allowance as applicable to adult passengers. Free Baggage Allowance is applicable only on sectors operated by Jet Airways. Any baggage over the free checked allowance will be charged as excess baggage. Check in can be done thruogh the Jet Airways website, through Kiosks, using SMS or several other options.